We received eight inches of snow from Monday’s storm and are expecting more snow tomorrow. I guess our ski season will continue for a little longer. 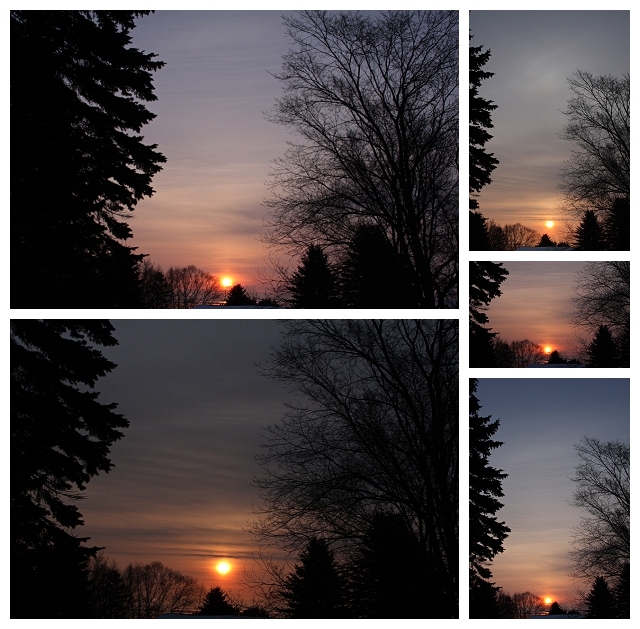 There was a bit of a sunrise visible this morning before cloudy skies consumed the sun’s rays.